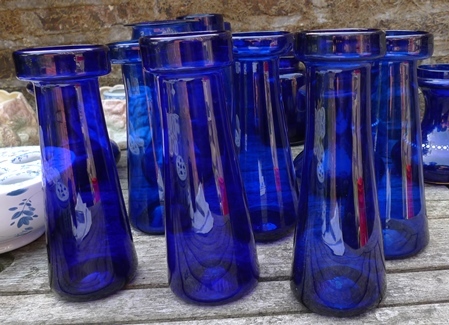 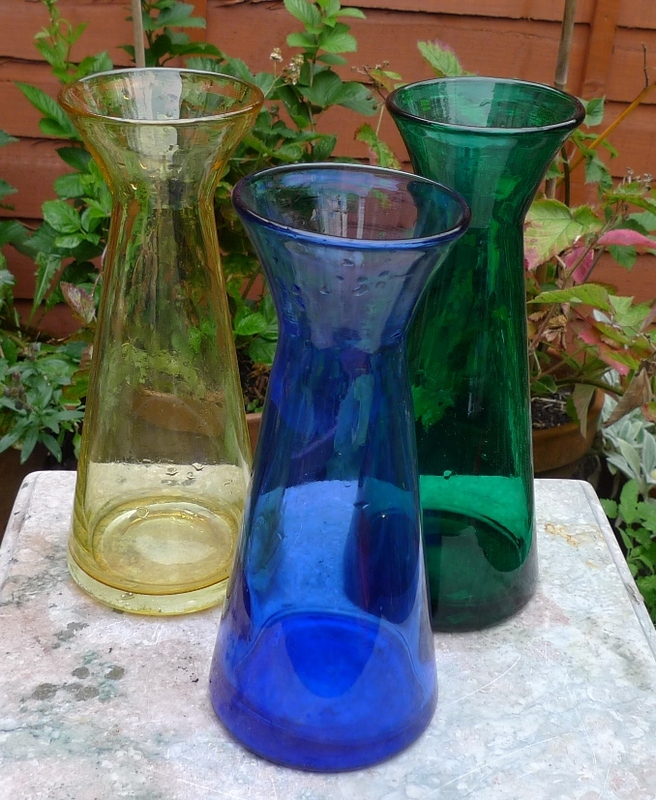 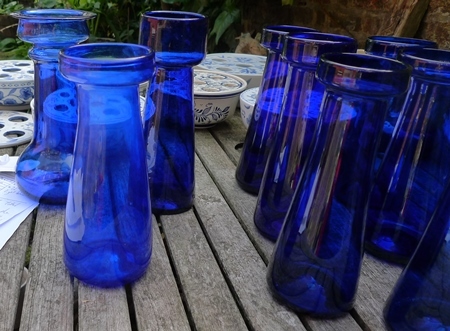 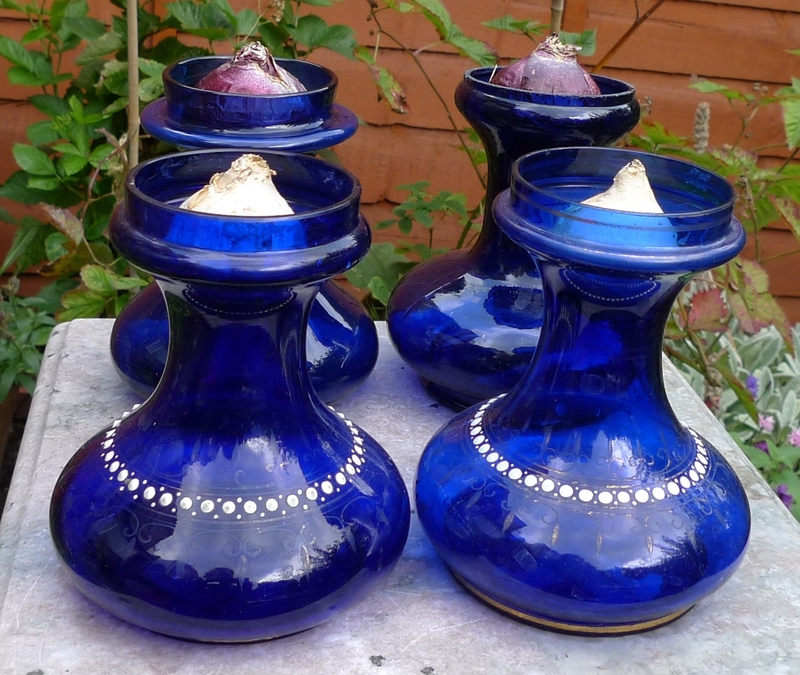 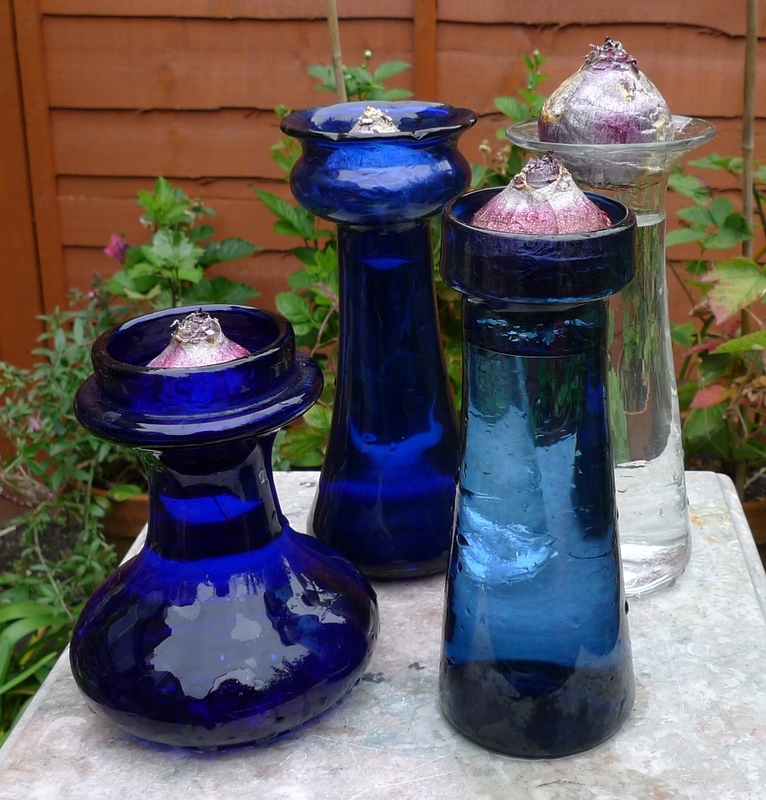 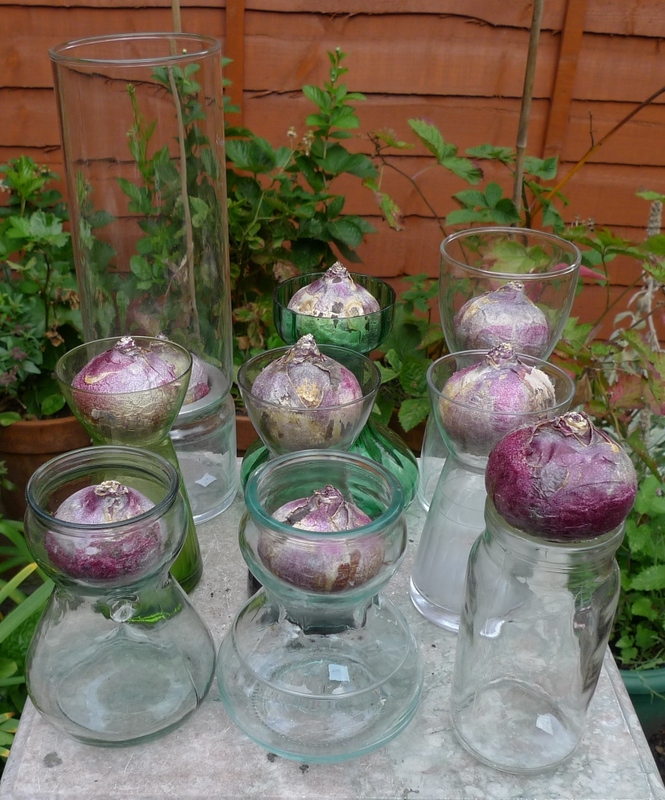 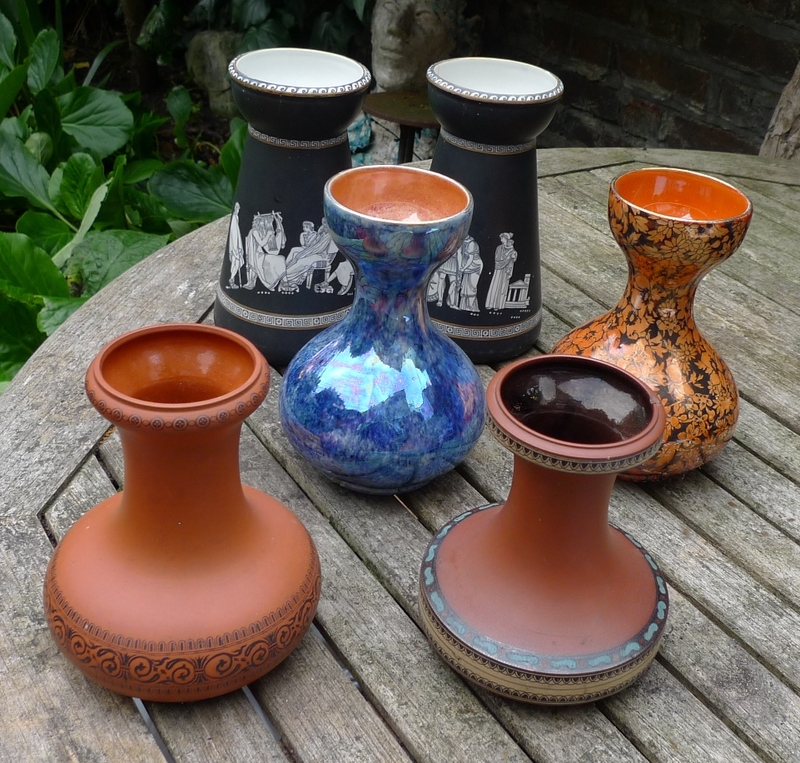 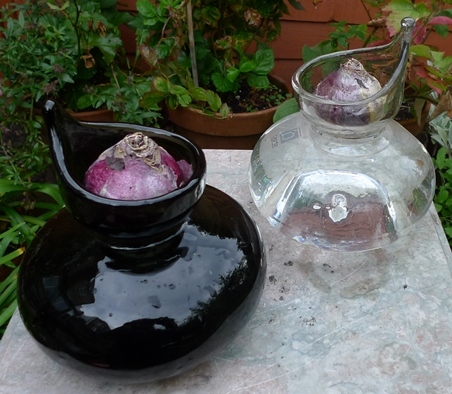 When I first started this site I photographed my hyacinth vases by colour. 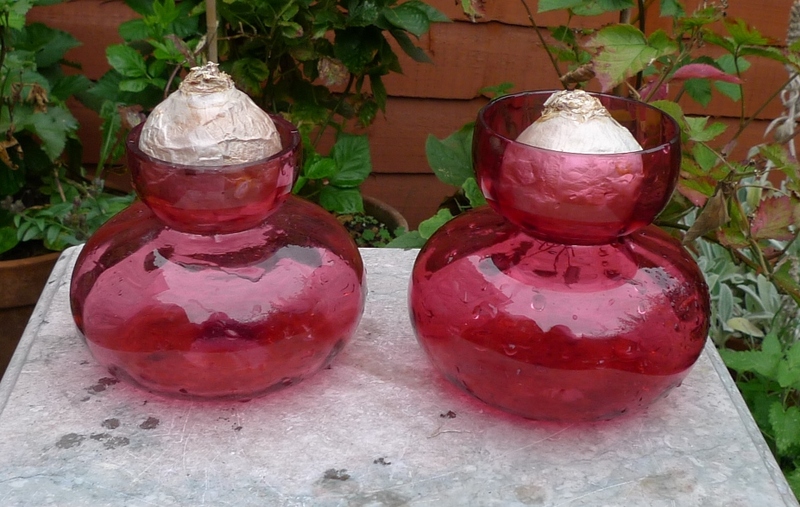 I have since taken other photos but decided to have a go doing them again by colour - just for fun. Modern vases, mostly clear (how boring! 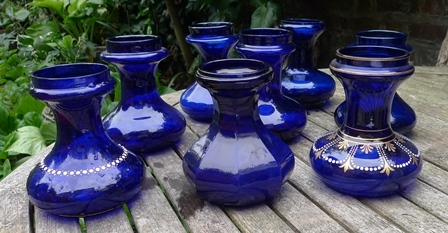 ), front right is an empty candy jar from Hayling Island, the spiritual home, for me, of hyacinth vases as that's where I first saw them at my mother-in-law's house and I bought my first 2 hyacinth vases at Reggies. 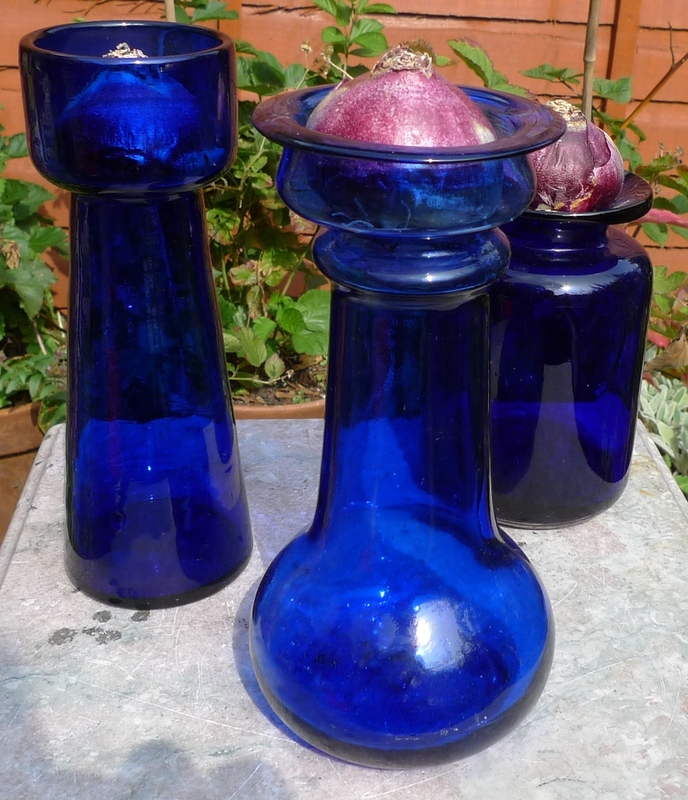 Broste Copenhagen hyacinth vases. I thought they were so fab when I first saw one in amber on ebay but no one else seems to take any notice of them. When I saw these on ebay I snapped them up immediately.